With its glistening finish and subtle texture, Venetian plaster outperforms many traditional wall treatments such as Vinyl and drywall and depicts timeless charm. With a mixture of slaked-lime and marble-dust, Venetian plaster shows the beauty of polished natural stone, by altering ceilings and walls into works of art. This wall technique backdates to Italy, where it was extensively used in Venice during the Renaissance period. 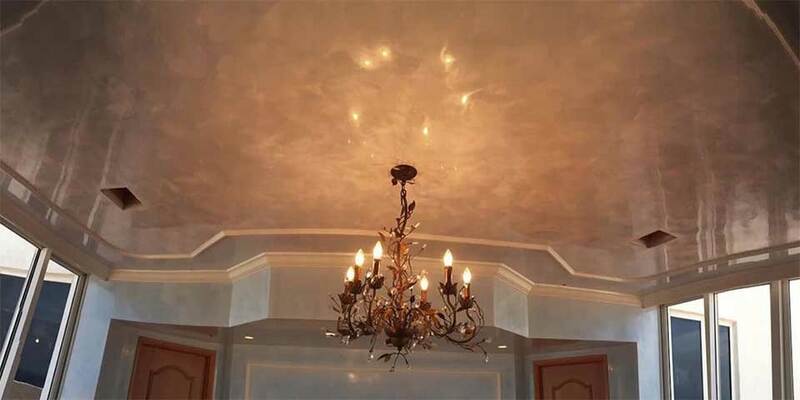 With more and more painters becoming skilled at this job, the unique properties of Venetian plaster are gaining popularity and thus, have been highlighted. Curious to bring a touch of ancient Italian history to your home? Here, at Konnstruct, we will give you 5 reasons why you should invest in our Venetian plaster services. With time, Venetian plaster dries down to rock-like hardness, making it extremely durable. It is flexible and stretchable and therefore, it can hold off consequences that might cause other wall finishes to crack up. Along with this, when there are imperfections that need to be repaired, Venetian plaster can help you with repairing them at almost zero or no cost, as there wouldn’t be larger sections for repair. Venetian plaster is one of the easiest wall finishes to manage as it has a range of pre-mixed pigments that last for years without diminishing. Due to this, there is almost no requirement for painting. Also, it wets and dries very easily, so even exterior walls are effortlessly cleaned. By allowing water to evaporate and permeate easily, Venetian plaster avoids the blocking of water, which can be an issue with other wall plasters. Although Venetian plaster almost eliminates the need for extra paint, it is extremely compatible and interchangeable. It provides a very smooth surface for painting and other modifications. With Konnstruct, even if you have done almost little or no preparations, you can transform your child’s nursery into a teen’s bedroom or give your kitchen the look you have always wanted. All the ingredients used in making Venetian plasters are non-toxic and natural, plus when you use them as two or three coat veneer, it facilitates maximum indoor air quality. Venetian plaster is made from lime, which has a very high pH and thus acts as an antibacterial surface, curbing the growth of moulds and fungus. It is also an easy way to add layers of protection to your homes, increasing the efficiency of your air conditioner and furnace. We hope that these considerations will help you do some guesswork for your next plastering service in Melbourne. With Konnstruct, enjoy the peace of mind that your walls will last more than decades with almost no maintenance, and that you will contribute to a harmless, toxin-free environment. If you are looking for plasterers for your home, let us know and we will help you achieve amazing results, exactly how you like them. Call Konnstruct at 1300 743 734 now!